This German silver tie slide was made by the prolific Oklahoma artist and metal worker George “Dutch” Silverhorn. Dutch Silverhorn was a member of the Kiowa tribe and learned metalworking from his father. Many members of the Silverhorn family are acclaimed artists and crafts people, including the ledger artist Silverhorn, Kiowa Five painter Stephen Mopope, and beadworker Katherine Dickerson. Continuing his family’s artistic tradition, Dutch was also a painter and a carver, producing mainly objects related to the Native American Church. German silver, also sometimes called nickel silver, is an alloy or combination of copper, nickel and zinc. Nickel silver first became popular as a base metal for silver plated cutlery and is still used today in zippers, keys, costume jewellery, musical instruments, and coins. German silver jewelry and metalworking has also been an extremely popular art form in Native American communities for centuries. The earliest examples of Native American metalwork were made by pounding coins and European style cookware flat, then cutting and forming the metal into jewelry. In the late 1800s the first sheets of German silver began to reach the plains tribes. These sheets were quickly put to use for jewelry making. Countless examples of German silver conchos, belt buckles, tie slides, earrings and more can be found in museums and throughout the native community today. Here is a video (part 4 of 15) that shows some of the tools and techniques used to make this type of German silver jewelry. A peyote fan is an essential object for a peyote meeting. This Kiowa fan incorporates some of the main materials that are used in peyote fans. The peyote religion is a sacred, yet often misunderstood, spiritual practice of some Plains Indian tribes. Peyote is the major sacrament of the Native American Church. The church has faced its share of scrutiny from the U.S. government and Christian followers. The spiritual use of peyote has its beginnings among indigenous groups in Mexico and the Southwestern part of the United States. The plains groups learned about peyote in the late 19th century. The Comanche chief Quanah Parker brought it to his people after he was reportedly treated with it in Mexico. He later established the Native American Church, a combination of Christian concepts and traditional indigenous beliefs. Members of the Native American Church believe that peyote is a gift from God. They have a variety of art, objects, and symbolism that is incorporated with their ceremonies and beliefs. Fans are very important for several reasons. First, the number of feathers in a fan can represent family members. Secondly, the fans are specifically made for individuals. This fan is 22” and is made with hawk feathers. Some peyote fans are made with eagle feathers, macaw, scissortail and even roadrunner feathers. This fan may have been used while cedaring or blessing a person. In effect, the fan brushes away evil spirits. This all takes place during the ceremony. This Kiowa fan has a buckskin handle and the feathers are partially beaded with the colored glass beads. This bead pattern is consistent to Kiowa and other Plains styles. Beadwork patterns vary from regions and tribes. This fan was likely made before the 1940’s, since it was cataloged in the museum collection in 1952. During that time period, the peyote cult was highly controversial and illegal in the United States. Native Americans were also facing other obstacles in that time period. 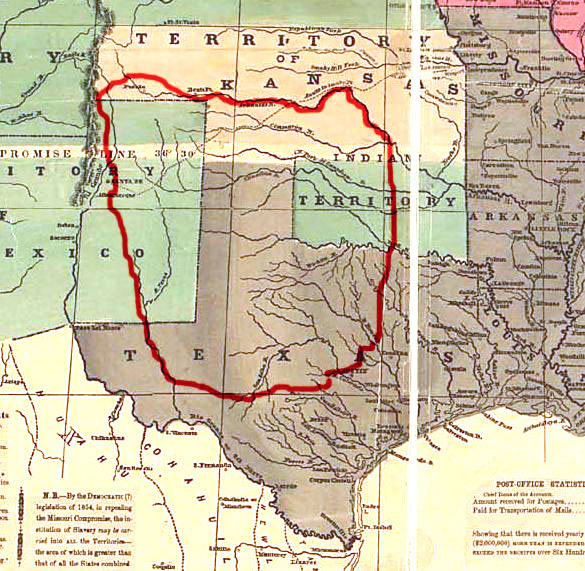 Since the turn of the 20th century, the Kiowa tribe has resided in Oklahoma due to the Indian Removal Acts. In 1993 the Religious Freedom Act was reinstated. Now, the Native American Church and tribal followers legally consume peyote for religious purposes. Today, there are an estimated 250,000 to 400,00 members of the church.